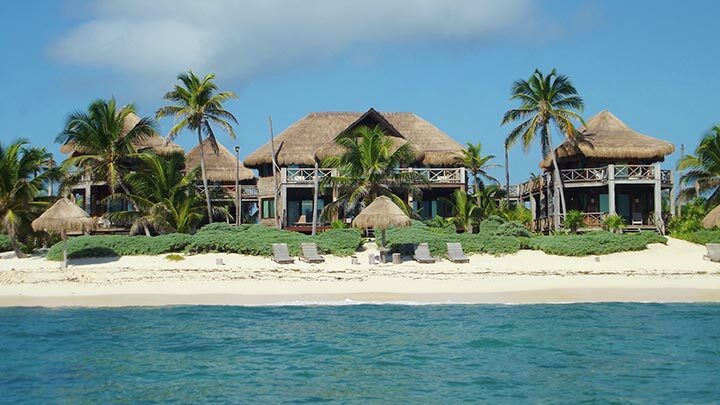 Reminiscent of a luxury safari lodge, Sian Ka’an Village is a 7 bedroom 8 bathroom high-end beachfront property located within the exclusivity of a privileged enclave of the Sian Ka’an Biosphere, a UNESCO World Heritage Site, in Mexico’s Yucatan Peninsula. 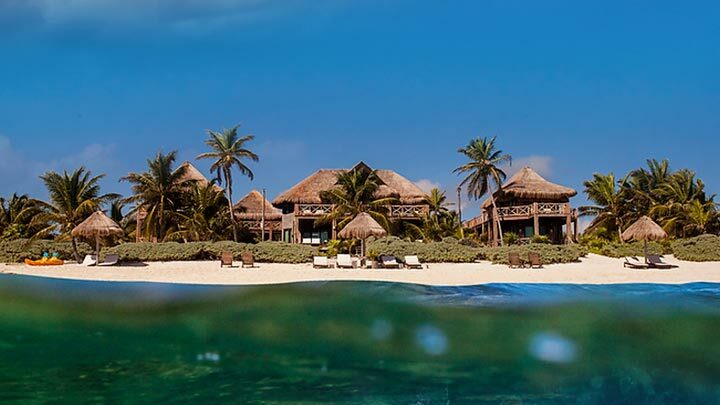 With no neighbors to disturb you but nature and the Caribbean Sea, Sian Ka’an Village lives up to its name, which in Maya means “where the sky was born” or “a gift from the heavens.” Sure to be unlike any vacation you have taken before, staying at this rustic-luxury haven, miles from civilization, is an unadulterated encounter with nature at its most sublime. 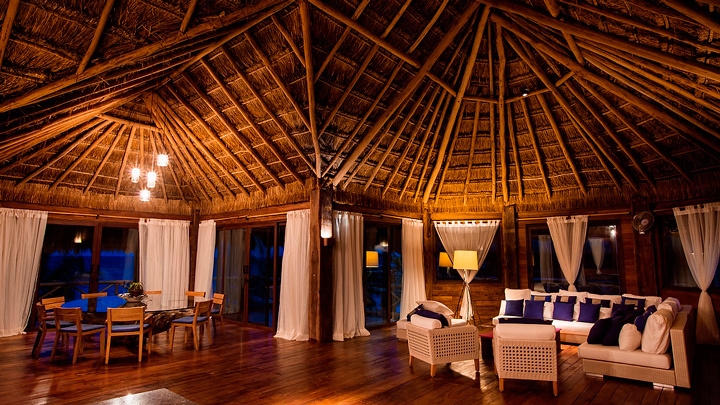 Honoring sustainable practices, Sian Ka’an Village was built with the intention of harmonizing the property with its lush natural surroundings. The architecture is therefore organic in essence, with 98% of its construction in wood and other sustainable materials from the region. 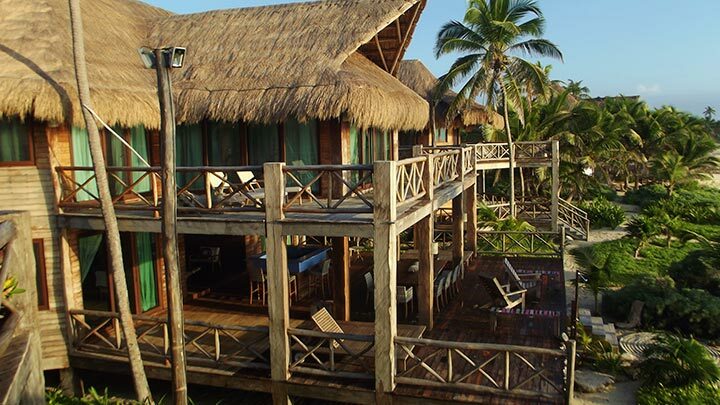 All the wood used to build the Sian Ka’an Village is durable tropical hardwood from the Yucatan Peninsula, especially chosen for the climatic conditions in Sian Ka’an as well as to complement the natural environment within this protected biosphere.